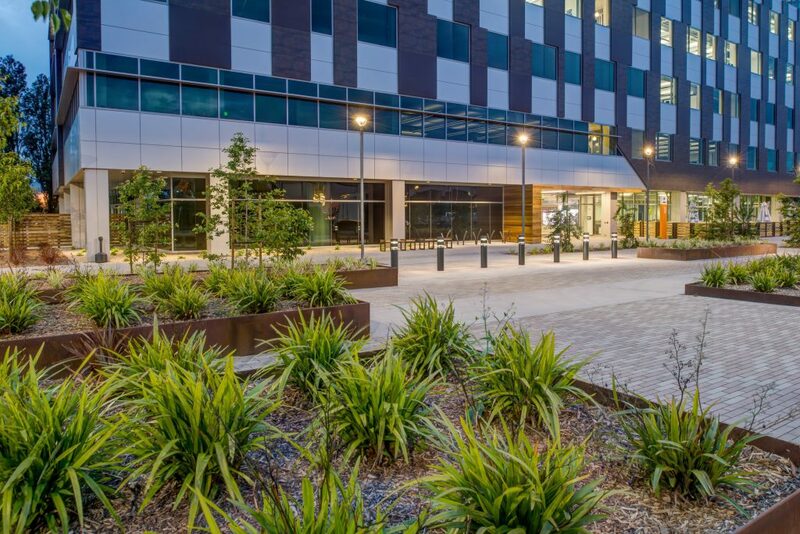 This summer, less than a year after the grand opening of Phase One of the San Leandro Tech Campus (SLTC), work began on Phase Two. This next stage will feature a second 132,000 sq. ft. office building, conveniently located next to San Leandro BART. PGAdesign was integral in making the campus more accessible by creating a much-needed link from the campus to the Bay Trail. For the tech park’s users, PGAdesign designed a new plaza, capable of hosting festivals and other events, and helped integrate the 55-foot-tall “Truth Is Beauty” sculpture by Bay Area artist Marco Cochrane, into the plaza as a focal point for the campus. The Phase Two Tech building is currently slated to be finished by September of 2018. PGAdesign is also currently desiging on a market rate housing component for the campus. Additional details are available via the developer, Westlake Urban.